The classic color combination of navy and ivory pairs well together in this feminine dress. 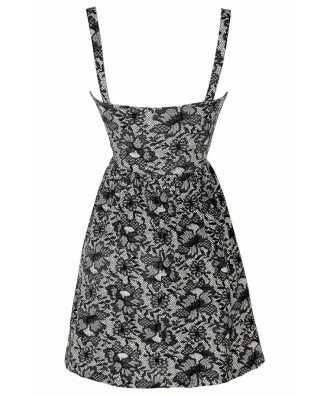 The Navy Lace Print A-line Dress is made of a cotton fabric blend with a bit of stretch to it. It has a beige background with a navy lace print throughout. No, this dress is not made of lace, it just looks like it! 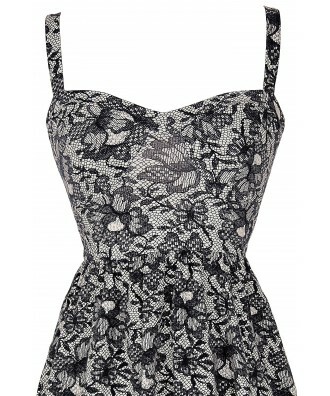 It has a V neckline and subtle bustier cup detail at the bust. 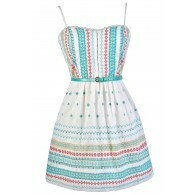 This is an adorable dress to dress up with navy or beige pumps, wedges, or t-strap heels. Another option is to dress it down with flats and an oversized bag. 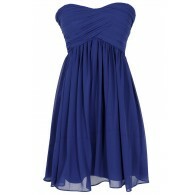 This dress also looks nice with a fitted navy or beige colored cardigan for a put-together look. Fit note: This dress runs a bit small; consider sizing up. Details: Made in USA. Unlined. 94% cotton, 6% spandex. Lining: 100% polyester. Hand wash with cold water. Do not bleach. Color separate. Hang or line dry. Small measurements: Length from top of shoulder strap to hemline: 32”. Bust: 30”. 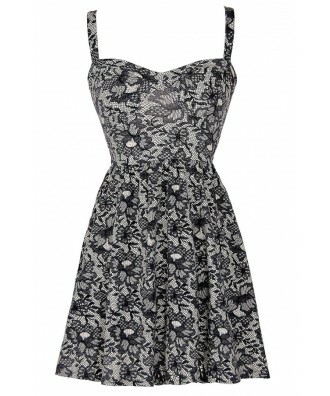 You have added Navy Lace Print A-line Dress into Wishlist. 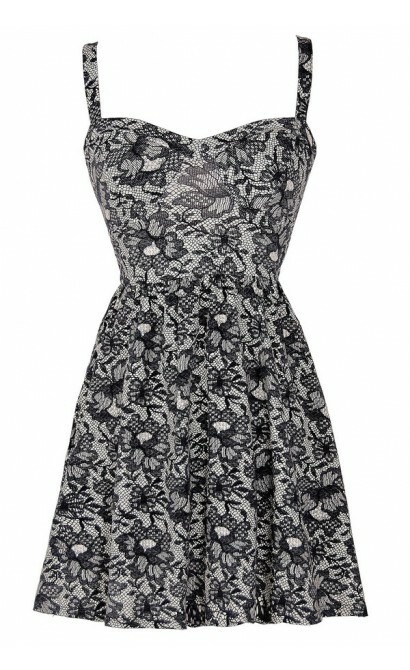 You have added Navy Lace Print A-line Dress for Stock Notification. 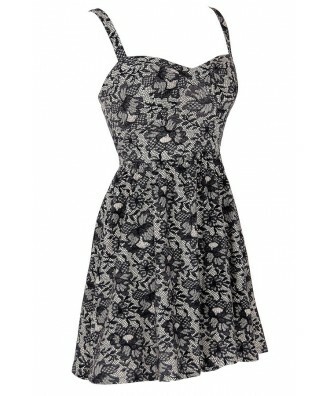 You have set Navy Lace Print A-line Dress as a loved product. You have removed Navy Lace Print A-line Dress as a loved product.